Join us for our 2nd Annual Alumni Homecoming on Wednesday, November 21st, in the gym from 5:30 pm to 8:30 pm. 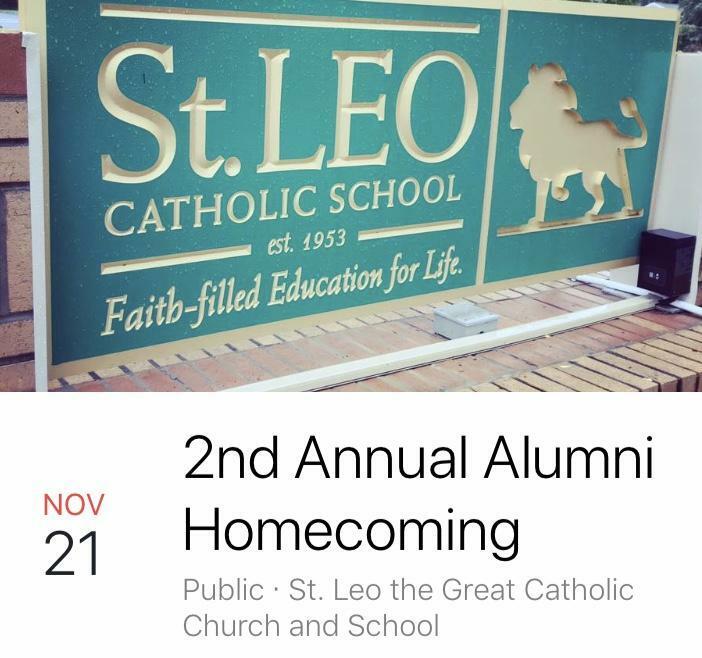 This free event is for all St. Leo School alums, their parents, current faculty and former faculty members. It will be a great opportunity to connect with old friends and former teachers. It will be from 5:30-8:30 in the gym. Dinner will be served.